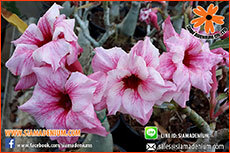 We have a good news for new seasonal growing for Adenium plants around the world. 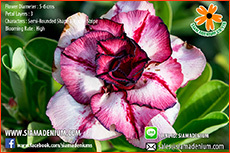 Now we have been produced the new varieties over 70 varieties with the newest flower styles, bigger sizes, and higher blooming. This is great for new importers who want to burst the new adenium flower markets all over the world. Due to higher demand for these new varieties so now we have already openned for the reservation in advance. 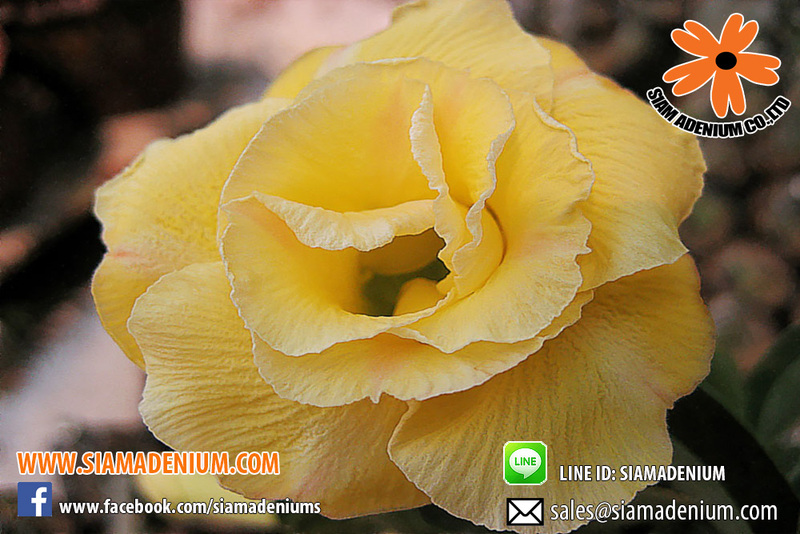 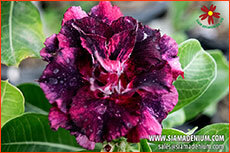 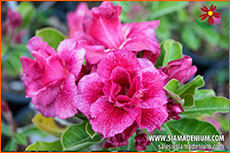 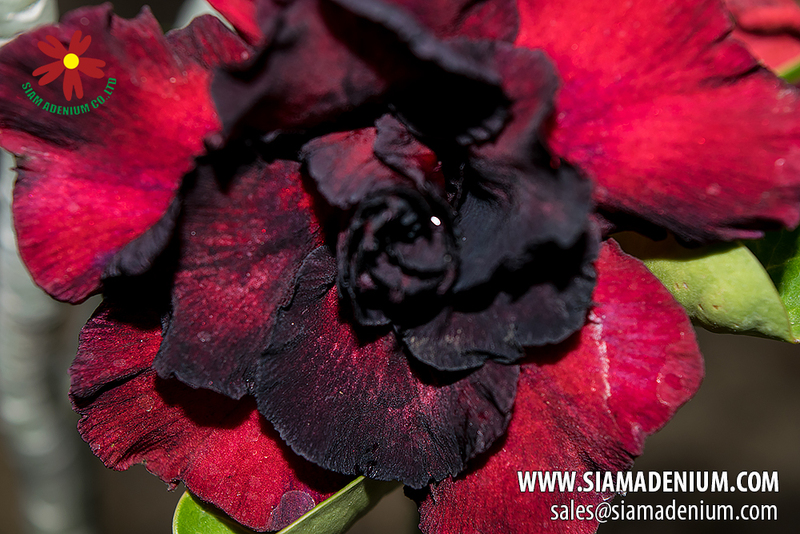 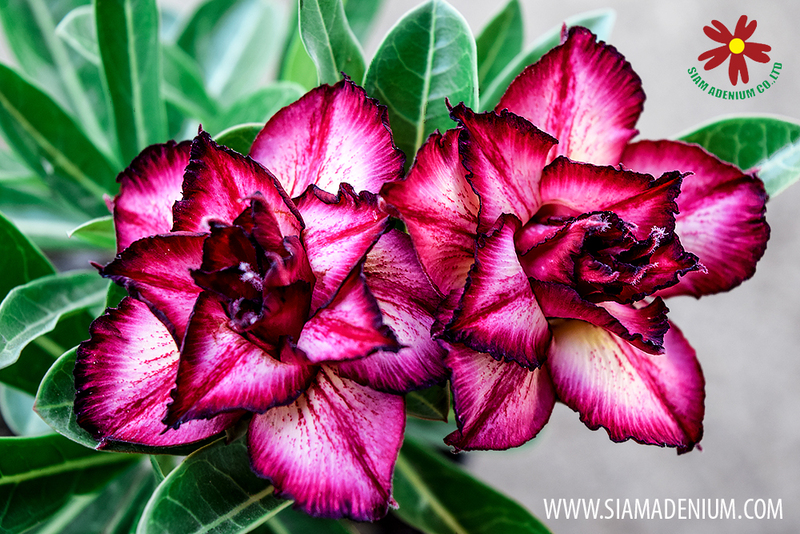 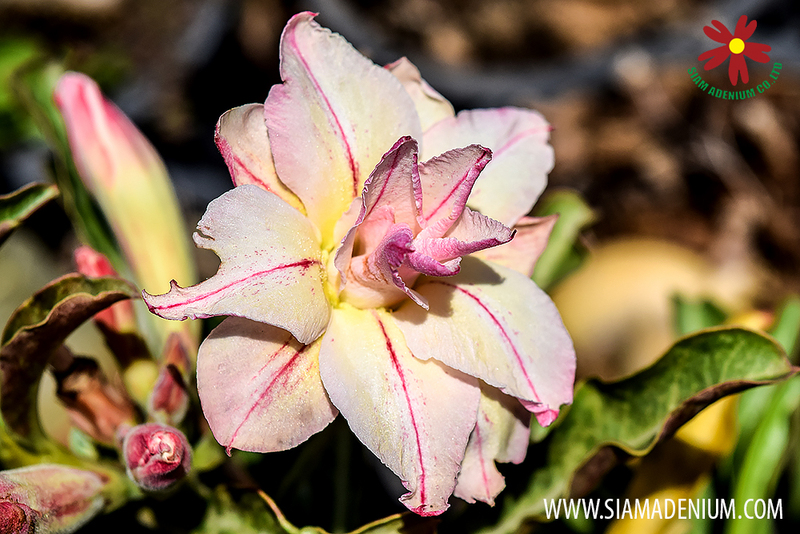 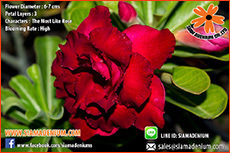 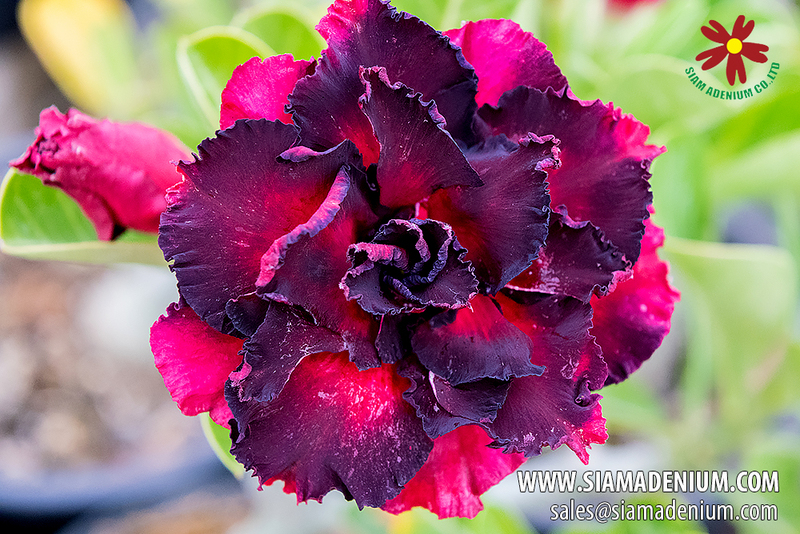 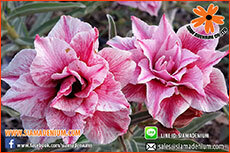 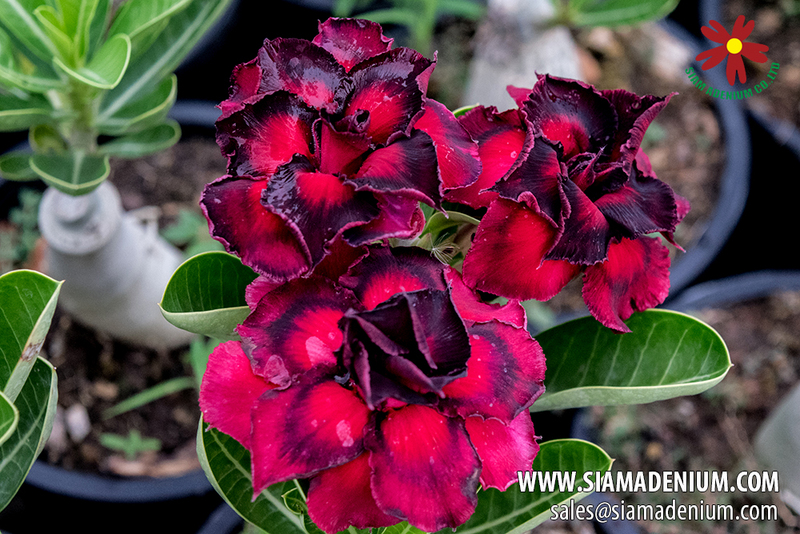 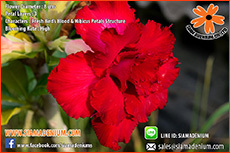 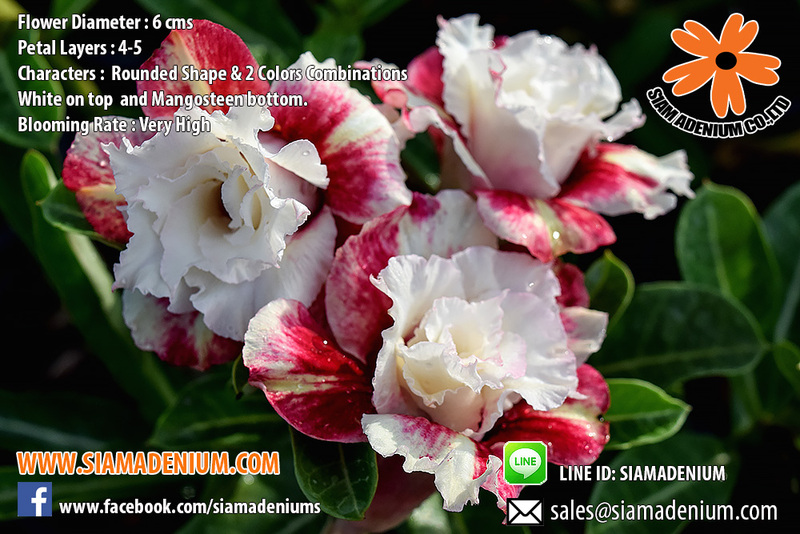 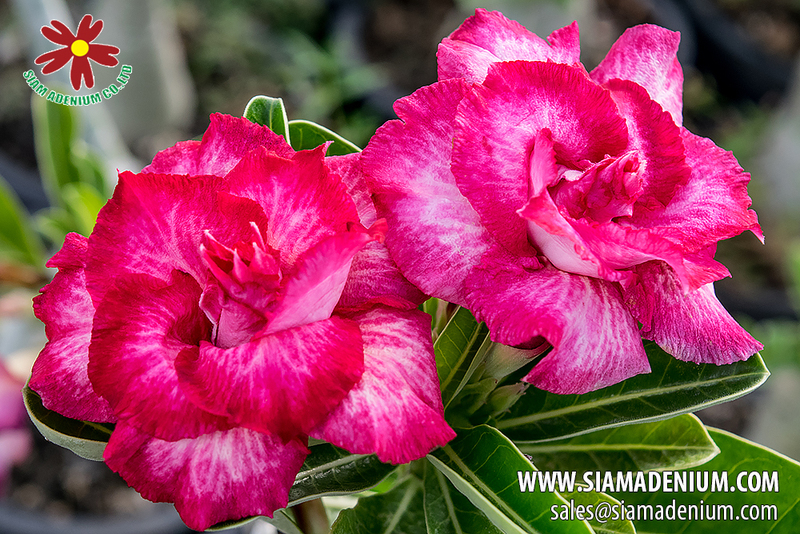 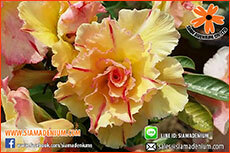 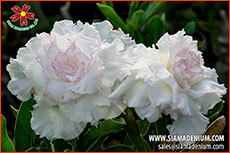 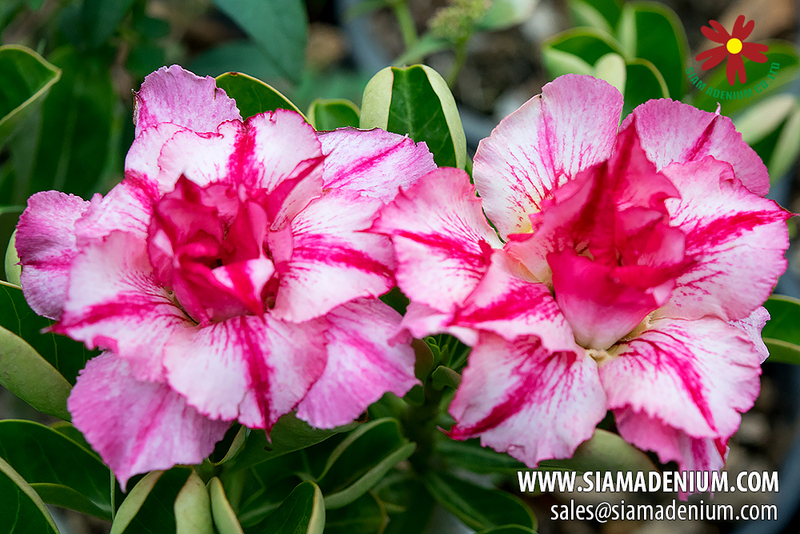 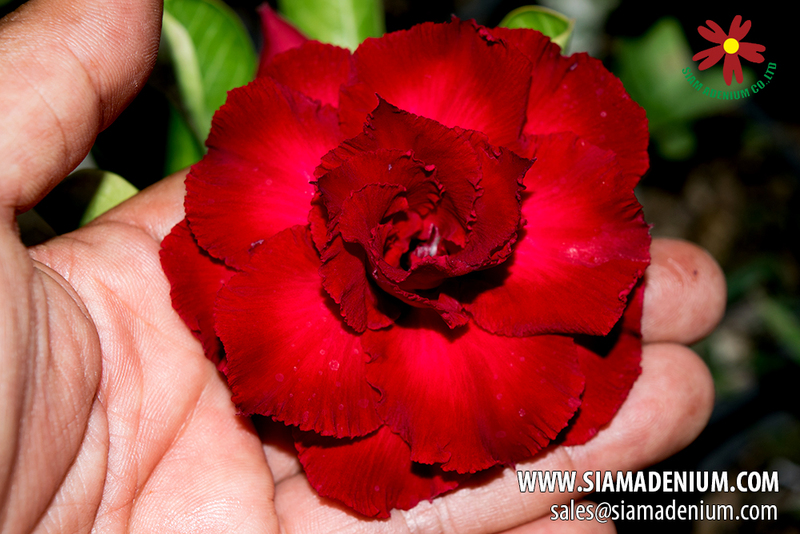 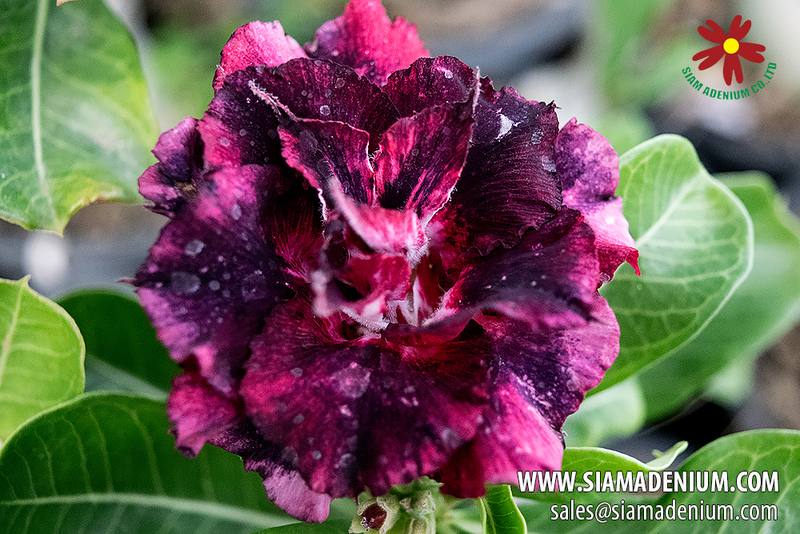 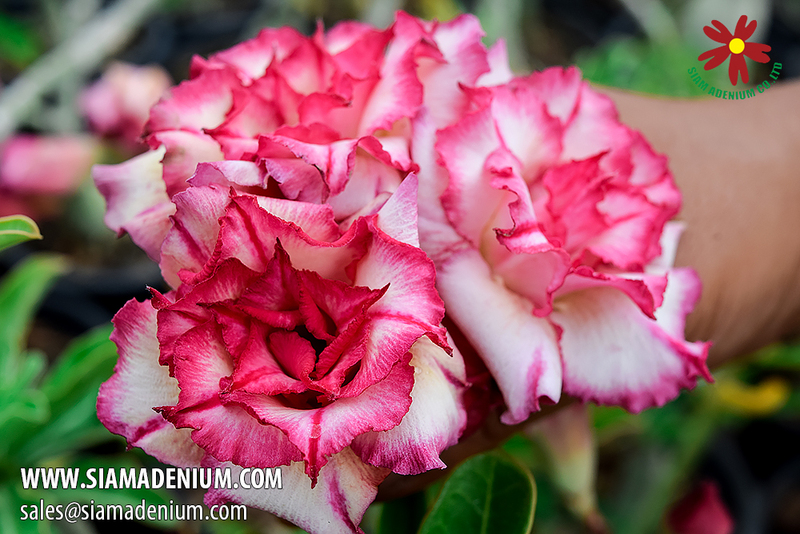 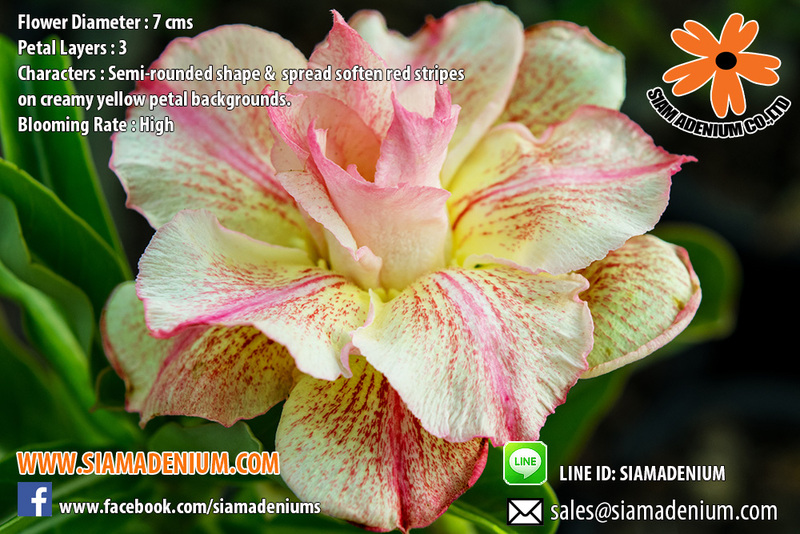 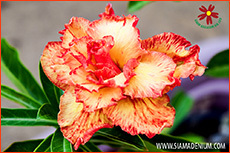 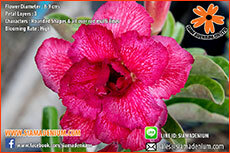 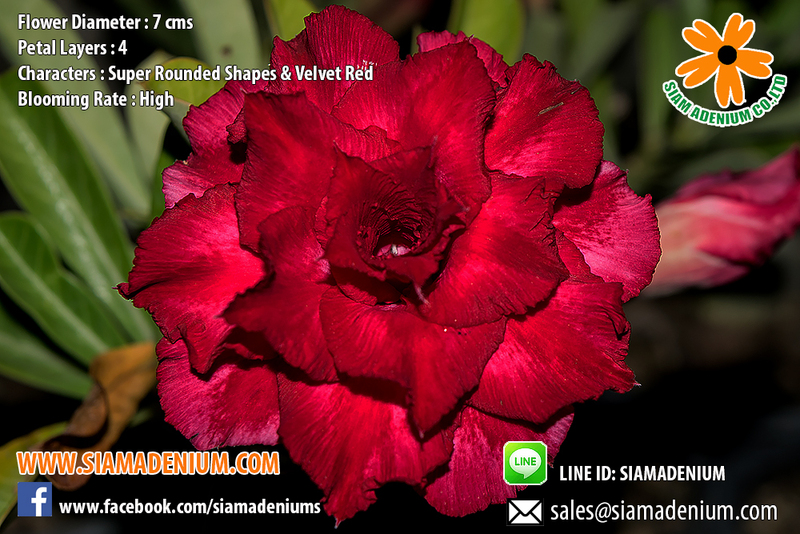 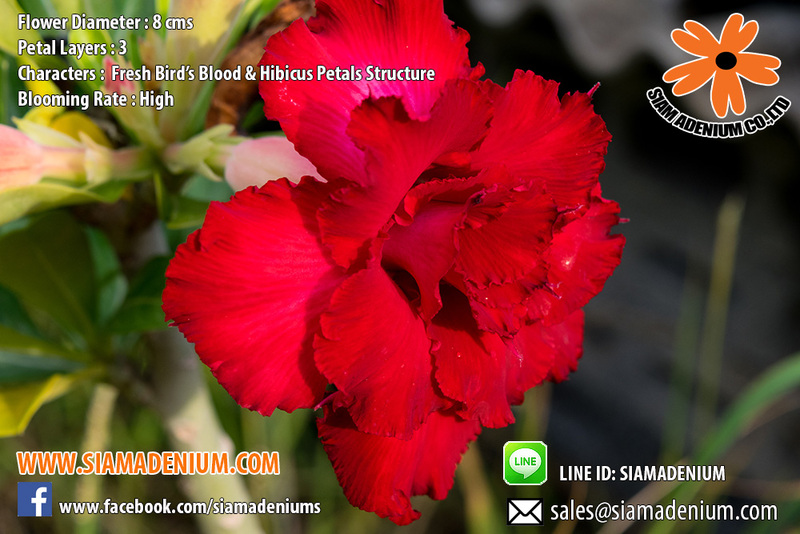 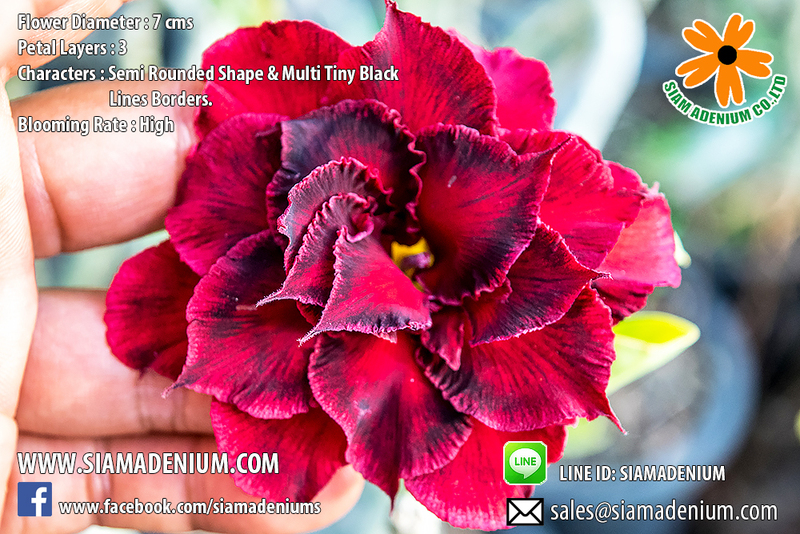 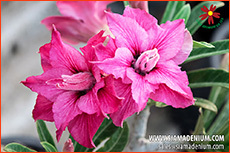 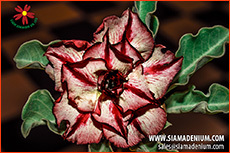 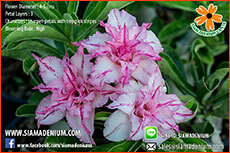 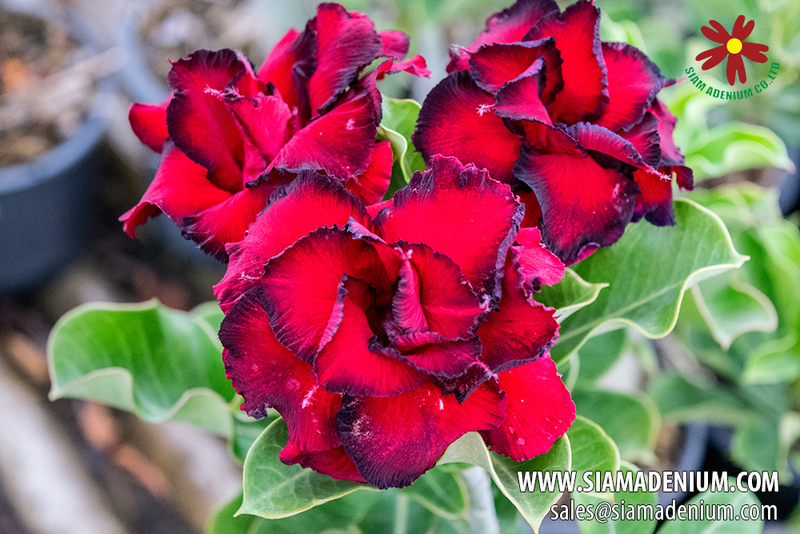 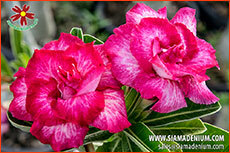 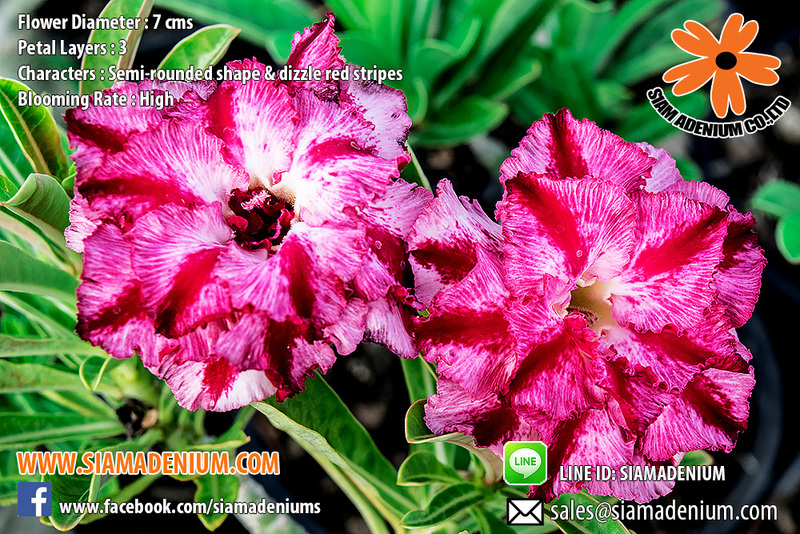 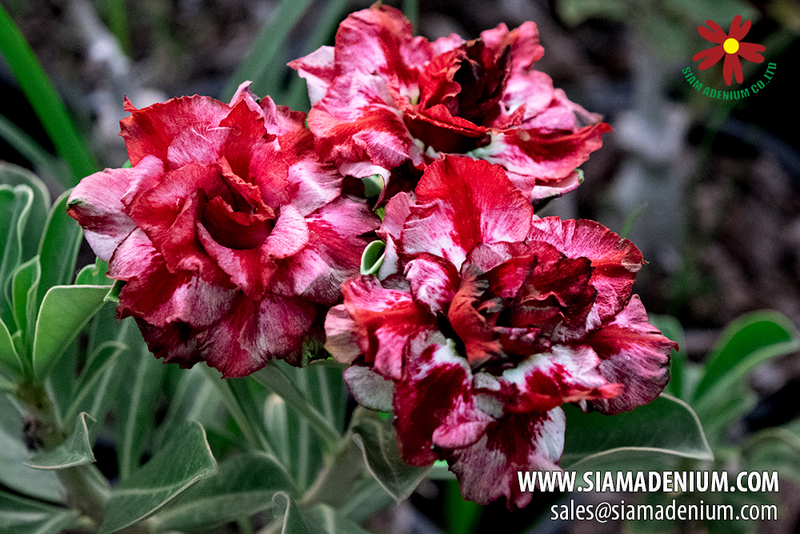 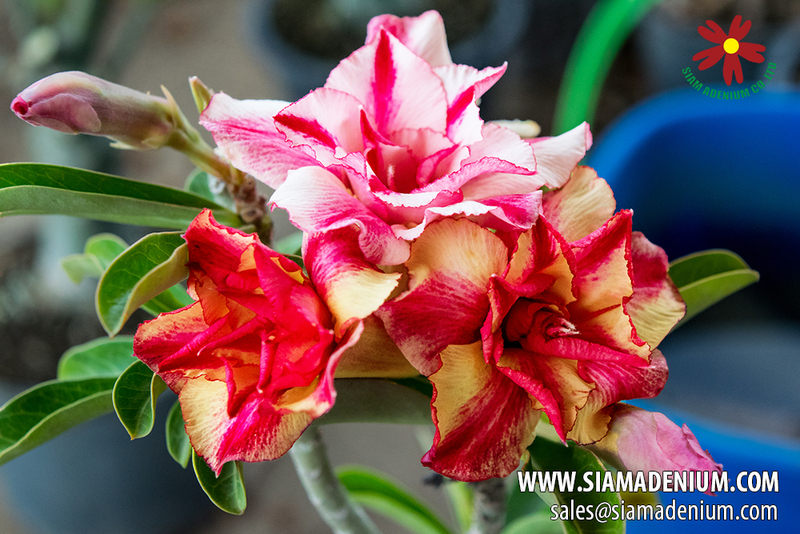 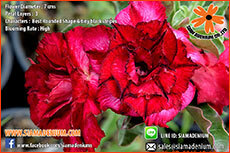 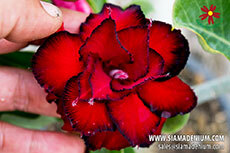 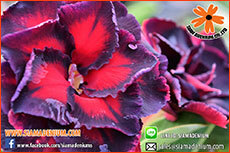 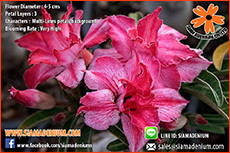 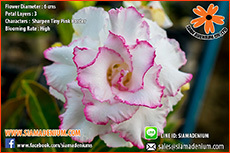 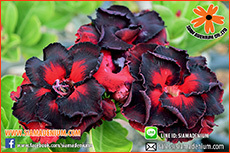 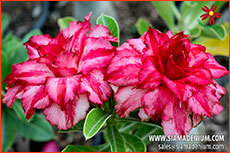 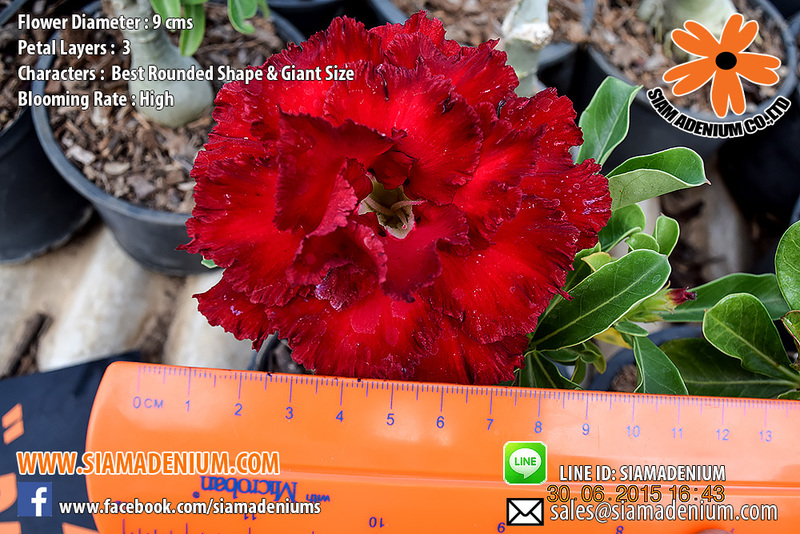 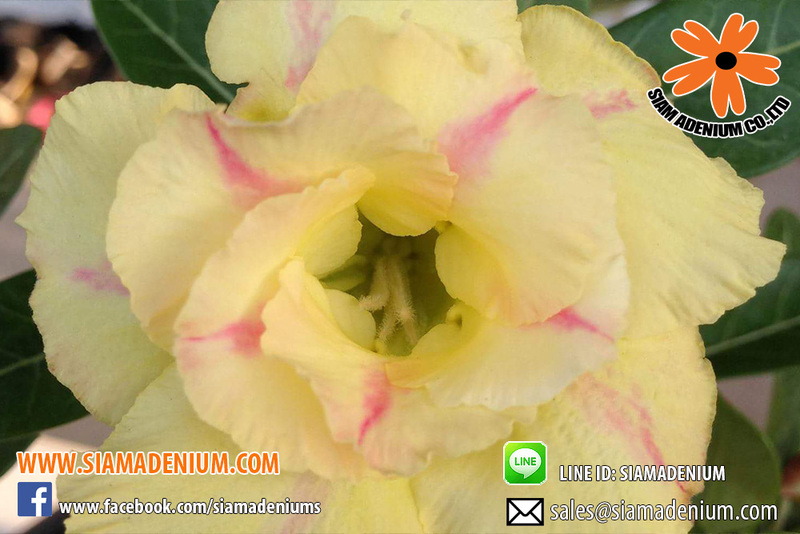 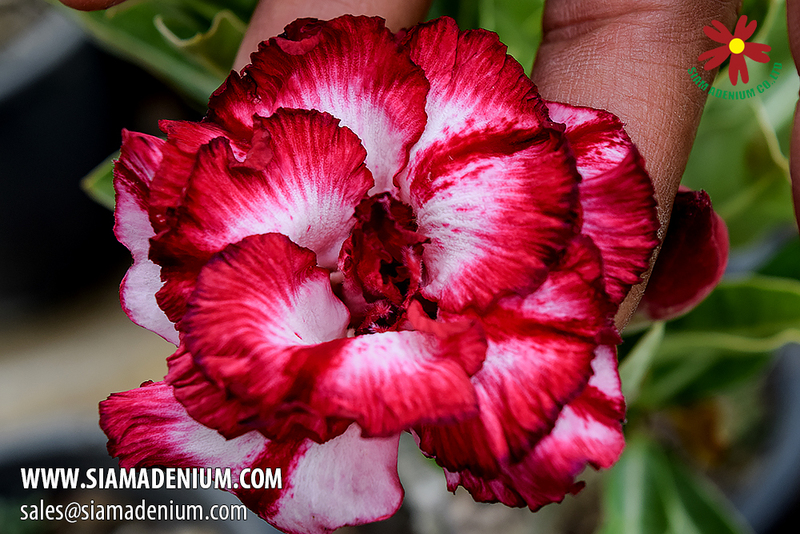 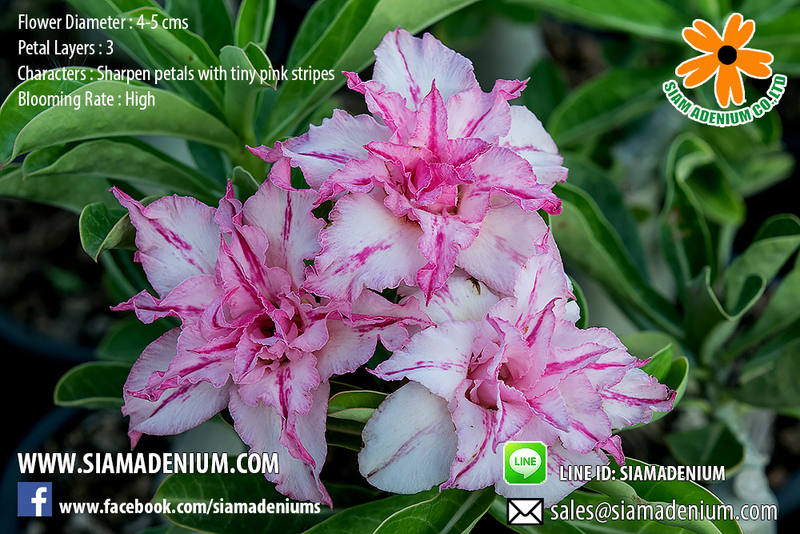 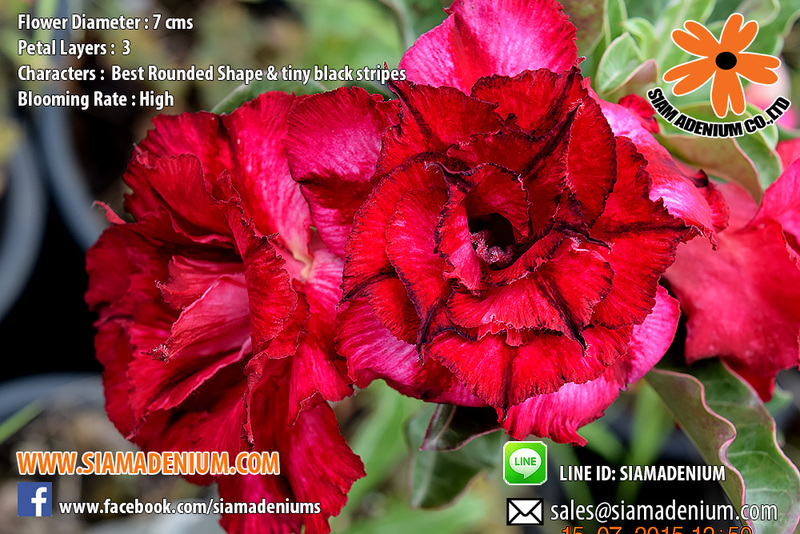 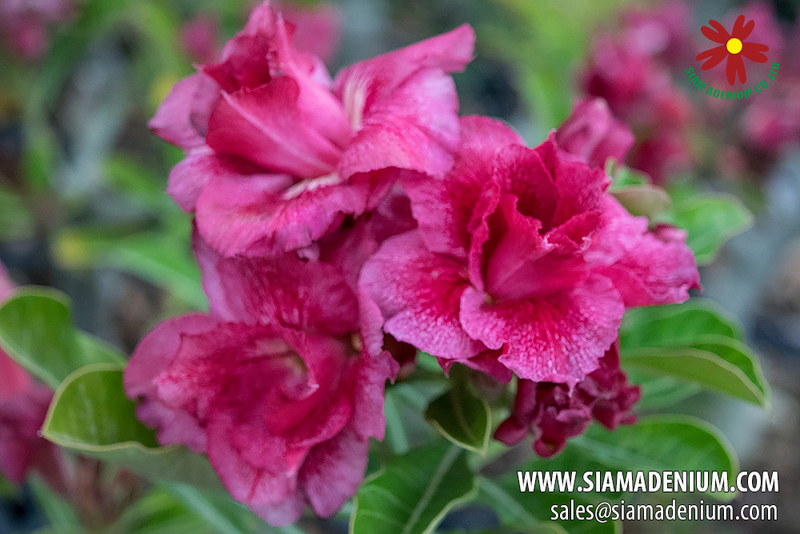 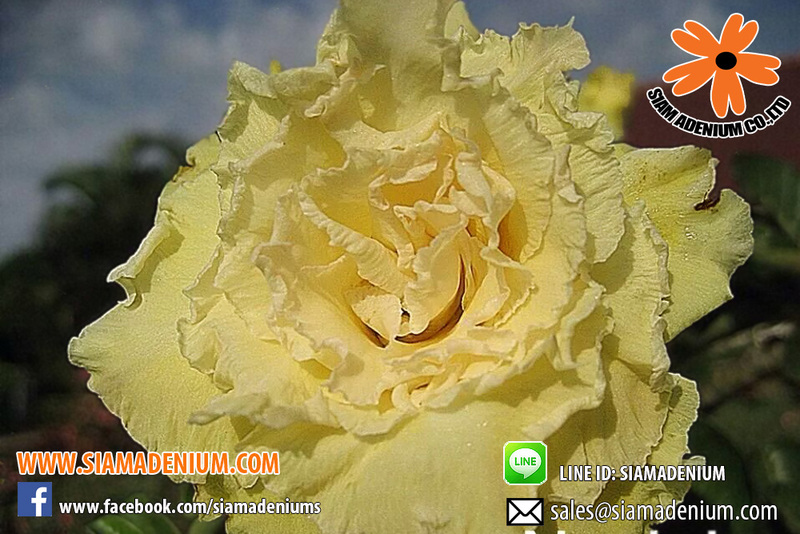 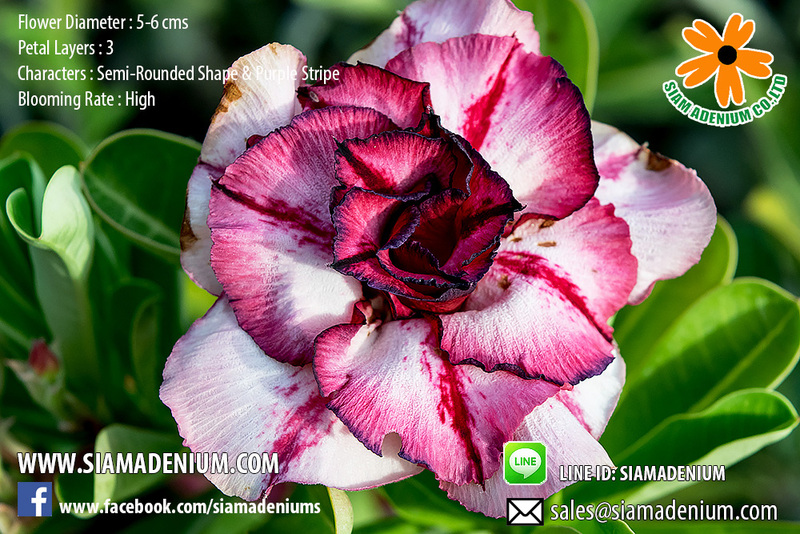 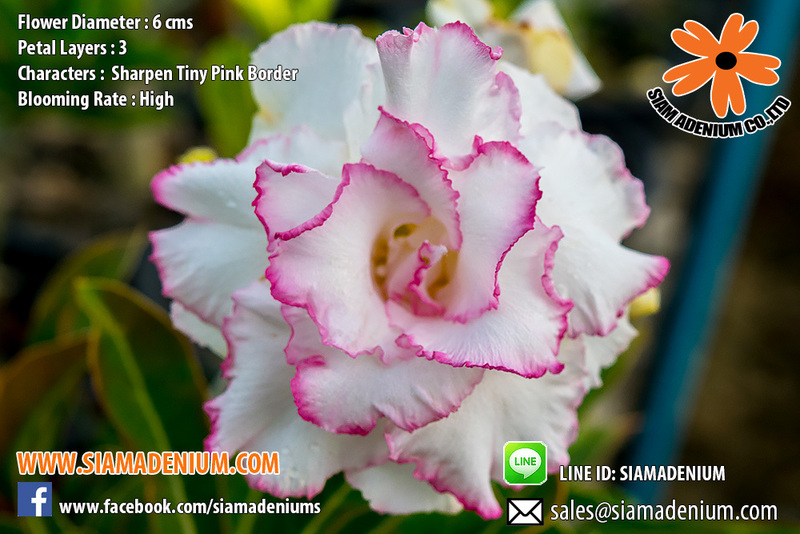 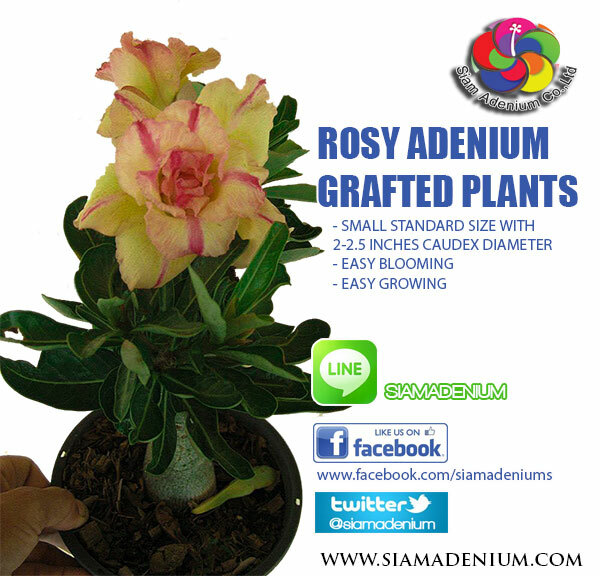 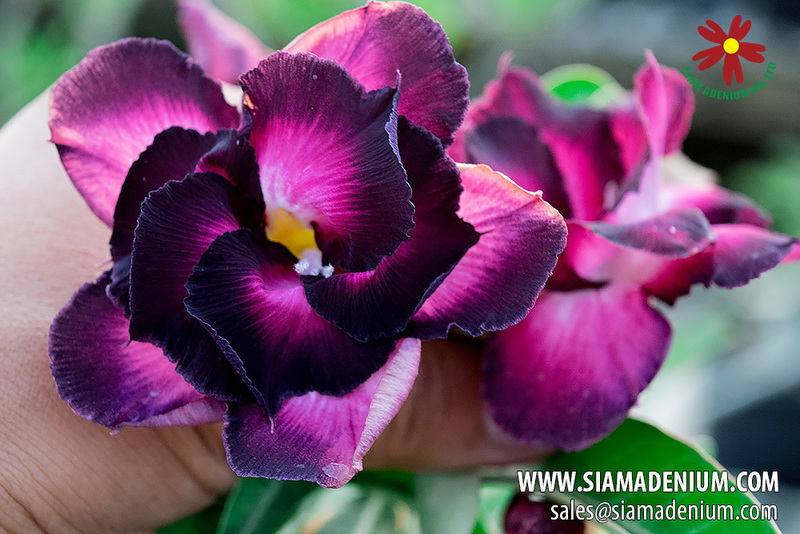 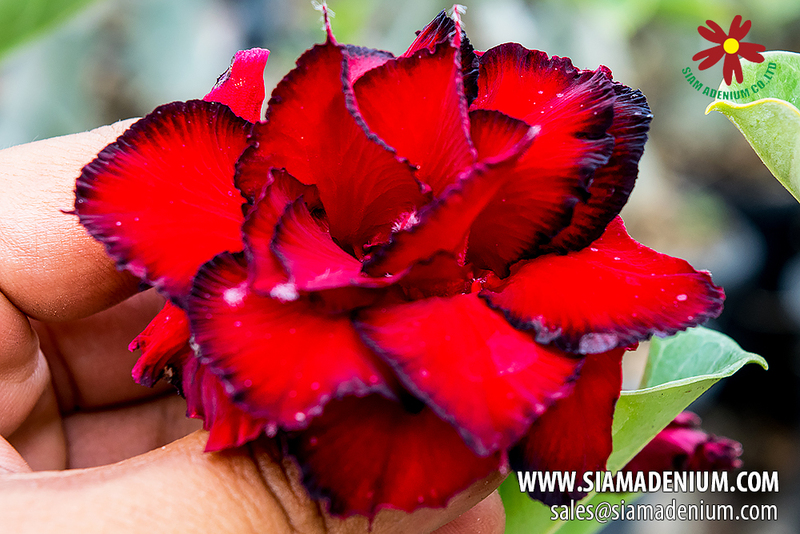 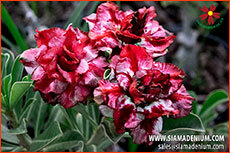 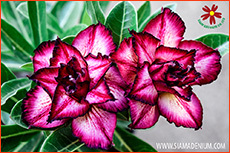 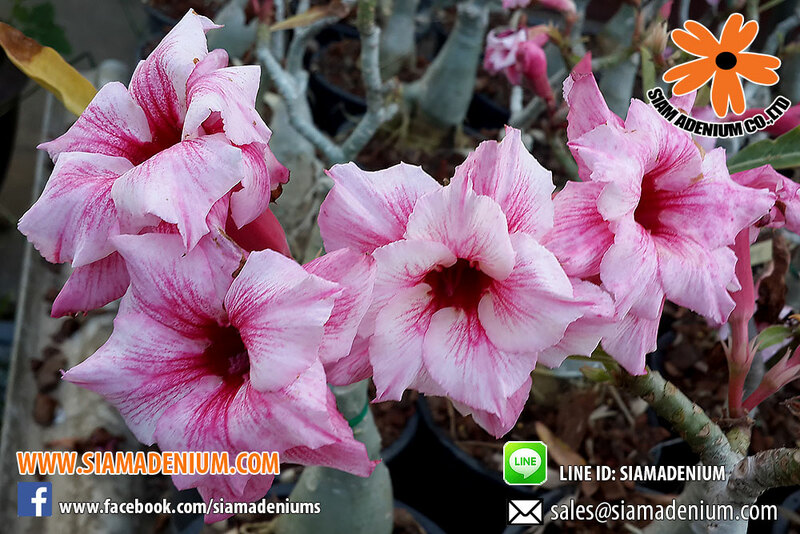 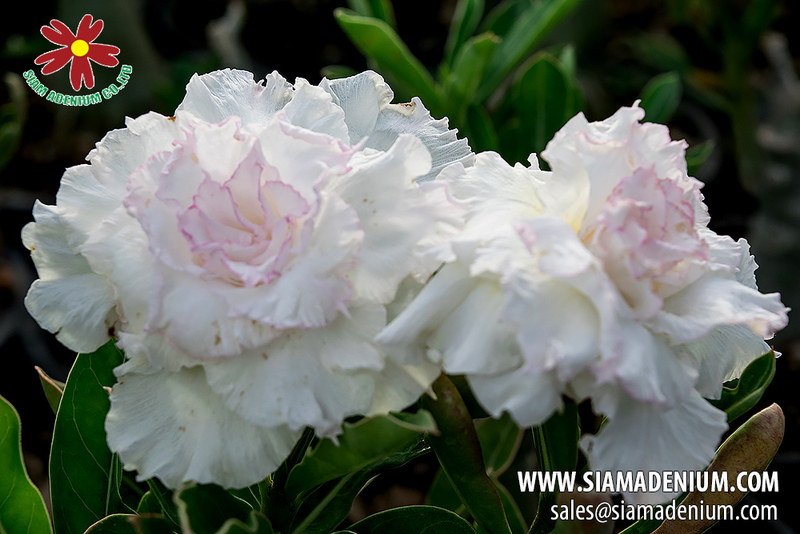 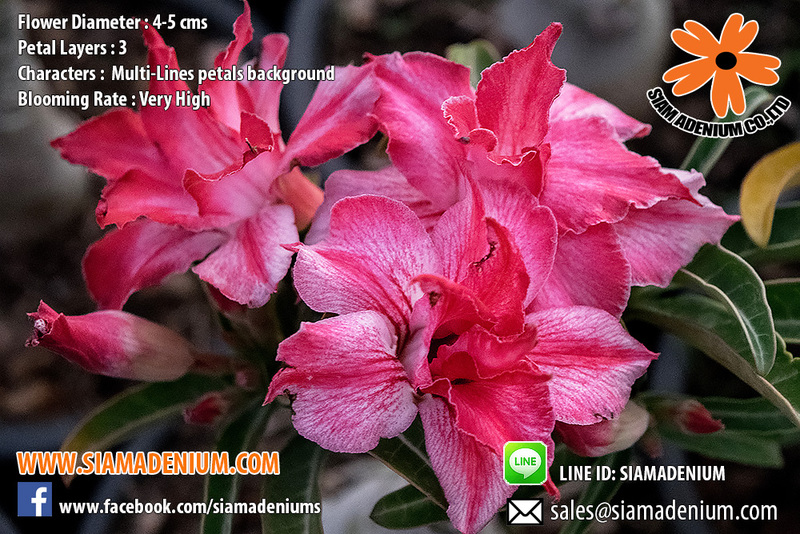 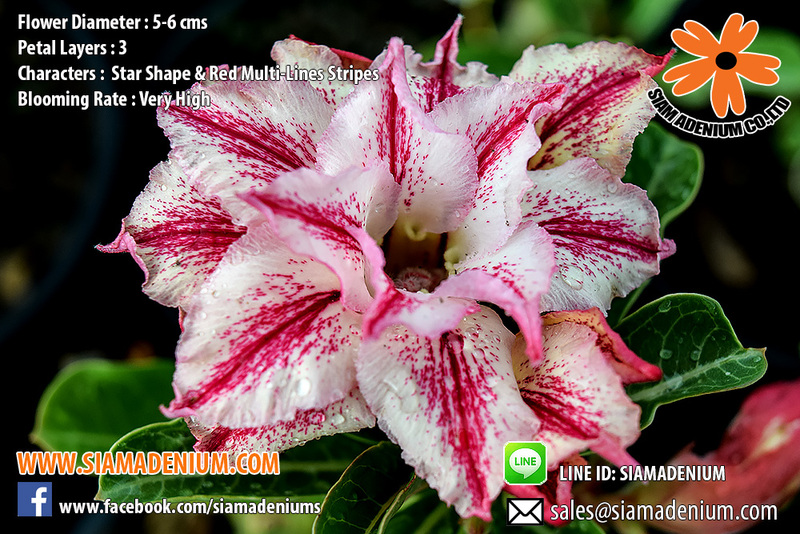 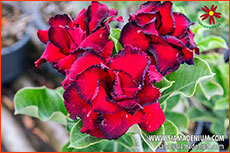 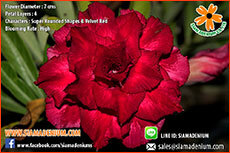 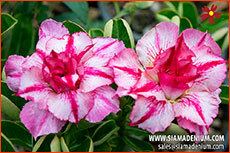 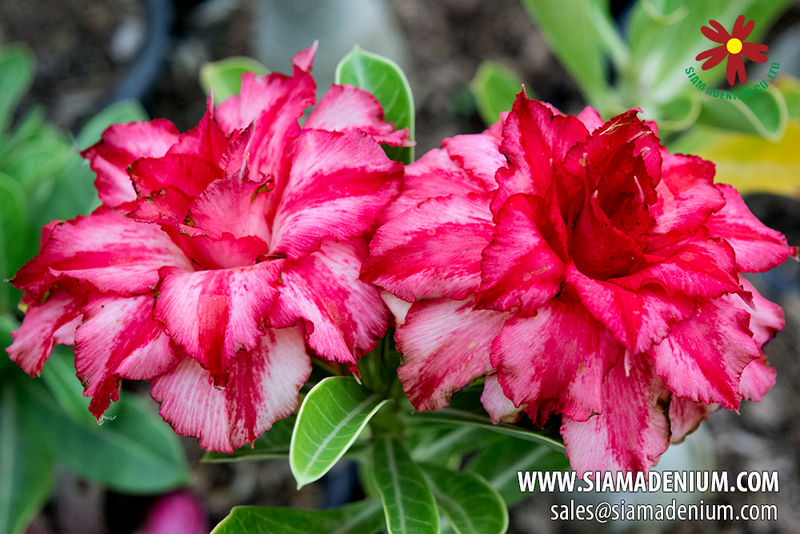 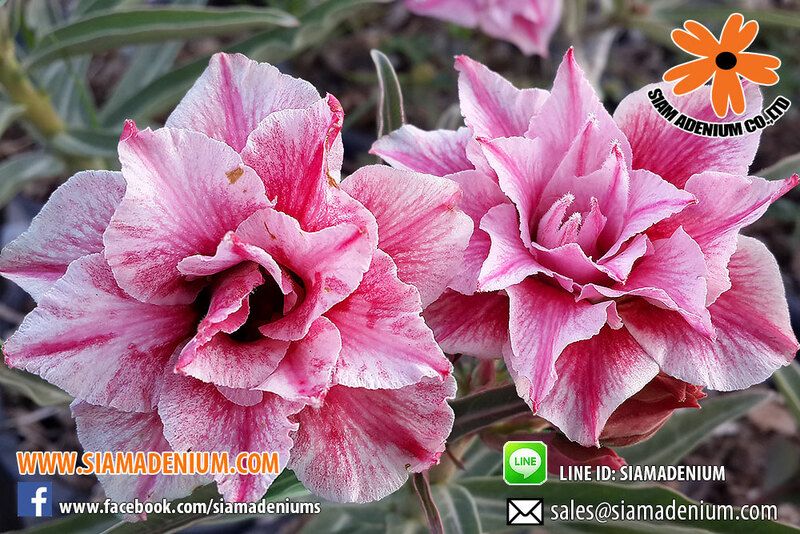 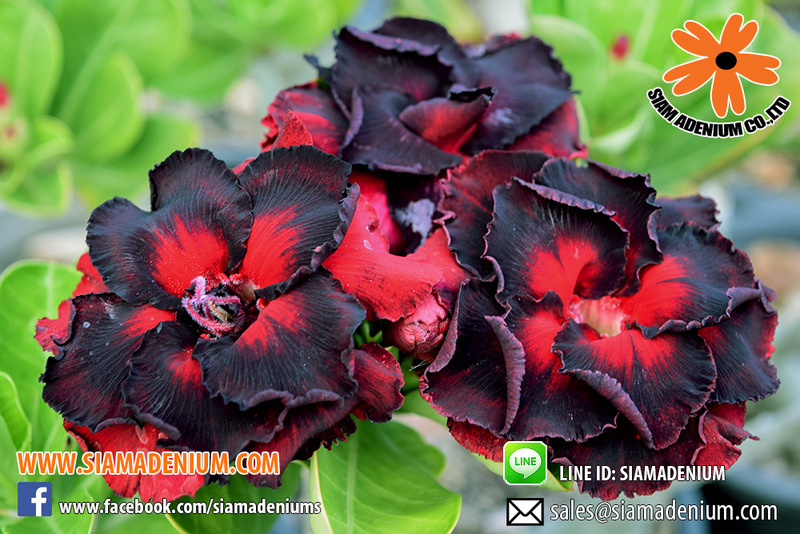 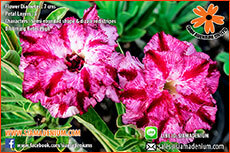 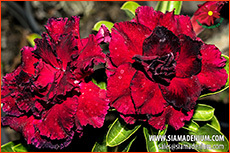 please fill out the variety codes (below photos) in our "ORDER FORM" and send it to sales@siamadenium.com. 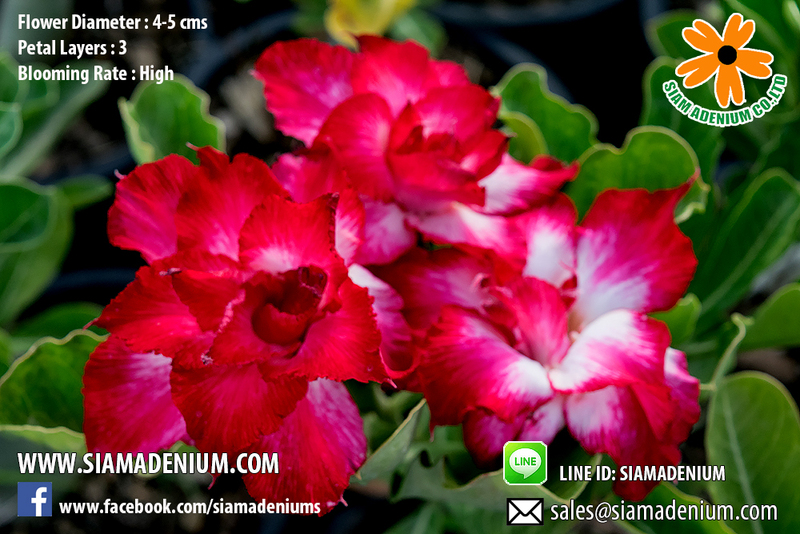 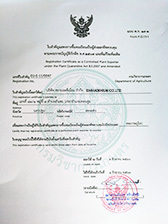 Then we will send you the pro-forma invoice including shipping fee and payment instructions. 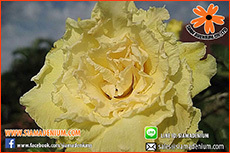 Code : "God of Yellow"
Code : "Yellow of God"
- Using young root stocks (healthier & longer survive) in cartons during delivery. 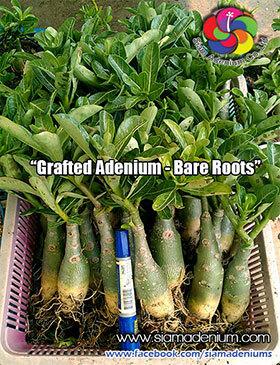 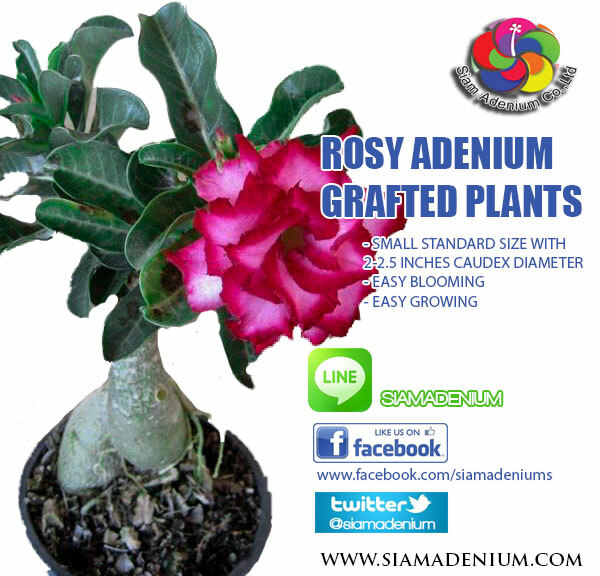 - Caudex size is 1.5-2.0 inches diameter, aged 1.5 years, great growing in 6 inches pots (no chemical use for growing). 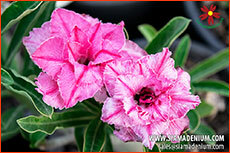 - Ready for blooming in 2 weeks after recieving or repotting them. 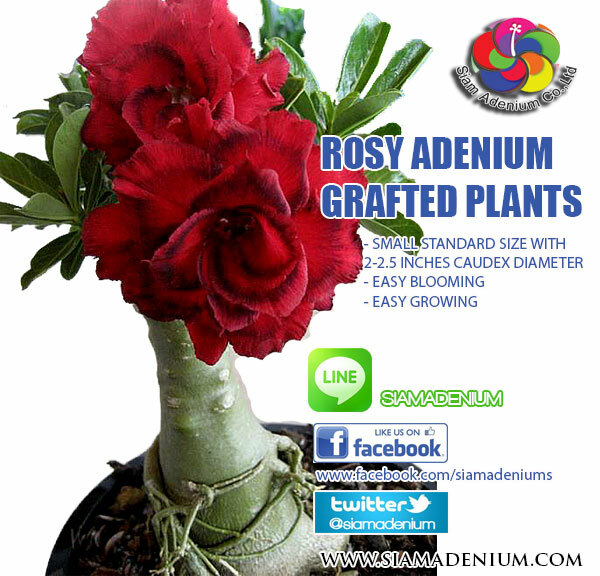 This is the right place for importers who want to import unique and cheaper adeniums with large amount of orders. 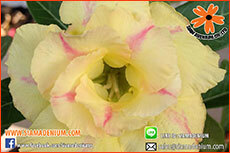 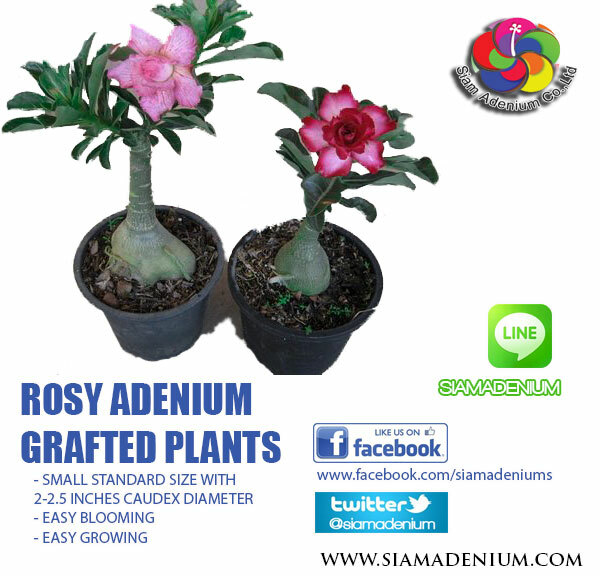 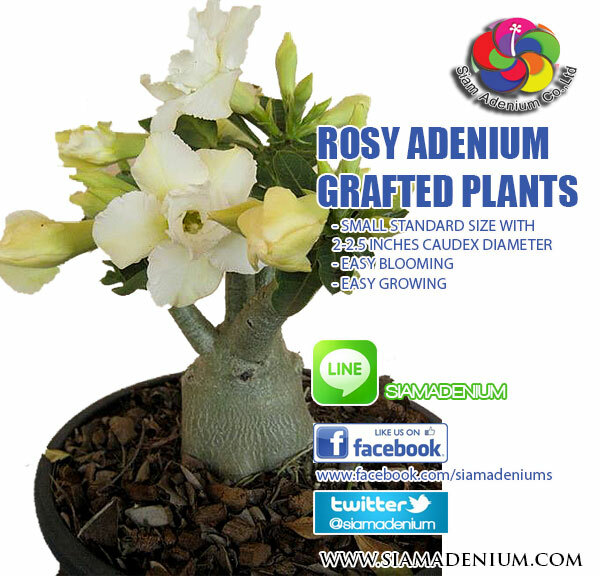 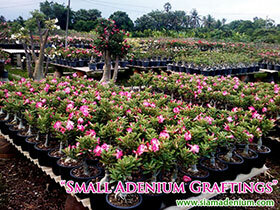 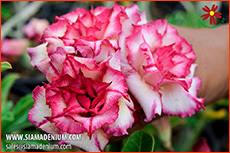 Most wholesale importer don't know how to open and start new market of adenium. 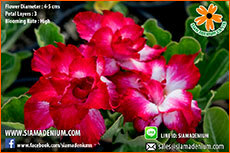 This is why we're gonna help you guys on this. 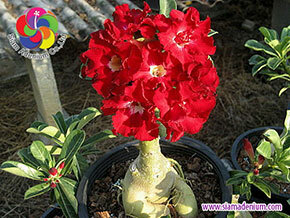 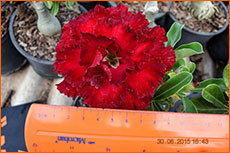 It's also hard for importers to choose which adenium flowers or varieties matching with selling them in market trend. 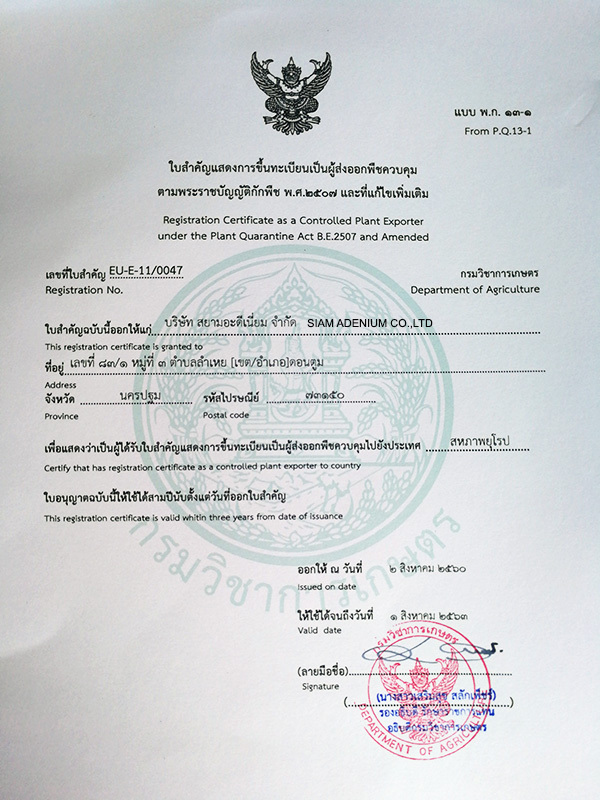 Now these problems will be gone. 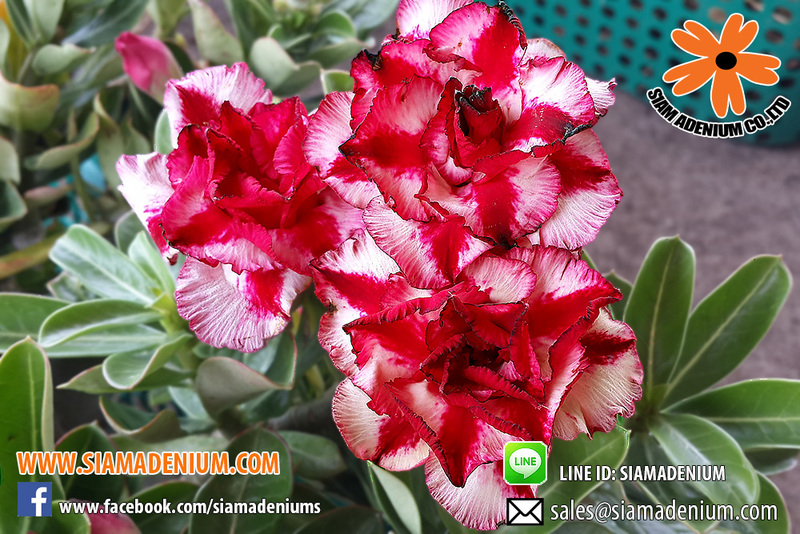 We've already chosen and grouped with our best collections and best sellers in each promotion "Package" with each 20 beautiful flowers set. 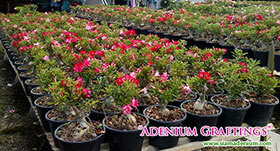 This would save your times and help you for better and easier selling adenium in market. 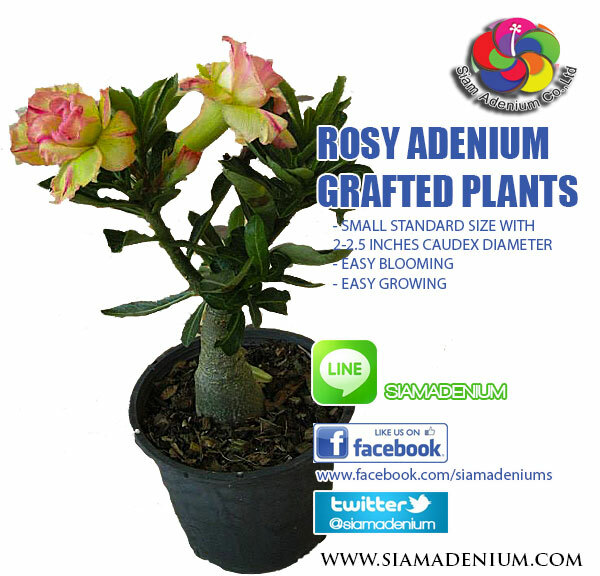 Our adenium rootstocks are very healthy so they are very strong and can stay in longer good conditions during delivery to you.